This wonderful Catalan city was voted one of the best places to live in Spain; furthermore, it is also a very common destination for tourists coming from different parts of the globe. Girona has a population of about 97.198 people, a high percentage of this population is constituted by students that come from other places of Spain and the world, and after all, we can’t forget that this amazing city also houses the University of Girona. If you love beautiful places to visit, but you hate crowded ones, then Girona is the right place for you. Definitely an amazing touristic location with a lot of activities to do and a big advantage, which is: there are no crowded streets, no too much traffic. Great, isn’t it? The climate in this magnificent city is quite good. The summers (June - August) are warm and during the winter (December - February) the temperatures decrease a little bit. During the summer you can expect to find temperatures ranging from 19ºC to 29ºC. During the winter you can expect to find temperatures ranging from 1ºC to 10ºC. There is no need to say that during the summer the tourists’ activity increases. It doesn’t rain frequently in this Catalan city, which means that the rain won’t spoil any of your outdoor plans or catch you off-guard. Girona has a transportation system that meets the needs of the population, needs that are not many since it has a population of slightly more than 97 thousand people. Here you can use the bus or the train to get from one place to another. Even though there is not much traffic, if you want to get to somewhere faster without having to wait for the train or the bus, you can call a taxi. Also, you can easily hire a car at the airport; by renting a car you can have complete freedom when it comes to exploring the city. To do not mention that it is the option with the higher cost/benefit ratio. It’s cheap, comfortable, fast, and easy. Catalan Cuisine: If you are going to visit this Catalan city, there is one thing you can’t forget. You can’t forget to taste the flavorful Catalan cuisine. A different experience that your senses will love. Relax:We travel for two main reasons: work or pleasure. In this case tourism is travelling for pleasure, and if you are travelling for pleasure you will surely want to relax and get rid of all that stress you were used to. Right? 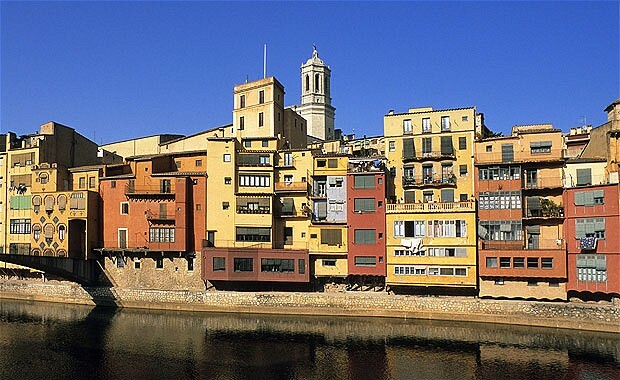 Girona has various hotels and effective services that will allow you to relax and enjoy the Catalan culture. This guest post was written by Aronno, a writer who has a boundless love for travel and tourism. 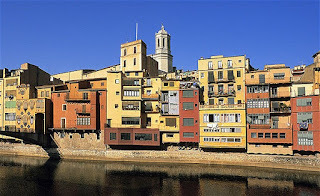 If you are interested in visiting Girona and want to rent a car to pick you up at the Girona Airport, simply access www.GironaAirport.net and get the additional information you need in a fast and comfortable manner.